You do have to fill out a rebate form, but $110 is a good price for the Asus VX248H. 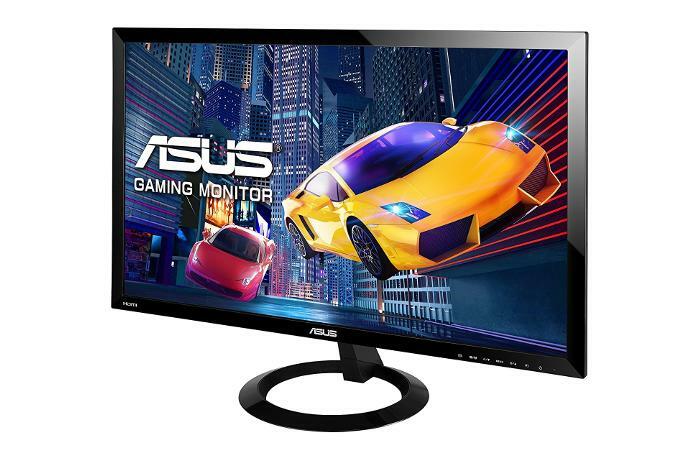 There’s a good deal on a 24-inch, 1080p Asus gaming monitor today. Both Amazon and Newegg are selling the Asus VX248H for $110 after rebate. The rebate is via Asus, which means you’ll have to pay $130 up front, and then get $20 back in the form of a prepaid card. Still, $110 is a pretty good price for this monitor. The 24-inch display boasts a 1920x1080 resolution with a 1ms response time and a 60Hz refresh rate. It has two built-in 2-watt speakers, meaning you can use it for PC or console gaming. On the back you’ve got two HDMI, and one VGA connector. It also has Asus VividPixel Technology, which is supposed to improve image quality by enhancing sharpness and color saturation. It doesn’t have any jaw dropping features such as a variably refresh rate via FreeSync or G-Sync. It also doesn’t have any tilt, so you can’t adjust the viewing angle. Nevertheless, you do get a solid monitor with the basics for PC gaming.